Only 26 days until I am relaxing at the lake, no work, no stress, no school no anything but time with my family. I can't tell you just how excited I am! Every year my family and I take 10 days off and head to a small town or lake for the Feast of Tabernacles and it is literally a blast from start to end! This year, traveling will be a tad different. The kids are older now so they will need more, want to do more and for no absolute reason, just be louder. Usually when the kids and I are in the car for more than an a hour, they start to get squirmy. So in natural mom fashion I hit up Pinterest for some ideas on easy ways I can keep the kids under control and happy for our 3 hour car ride ( not at all long but ya know... kids). There are so many amazing pinners out there that have idea after idea after idea and these will definitely come in hand! So check out these awesome inspirations that I will be incorporating in the next few weeks! 1. This fun scavenger hunt from Capturing Joy with Kristen Duke is perfect for those that have difficulty sounding out words or are just learning to read! 2. 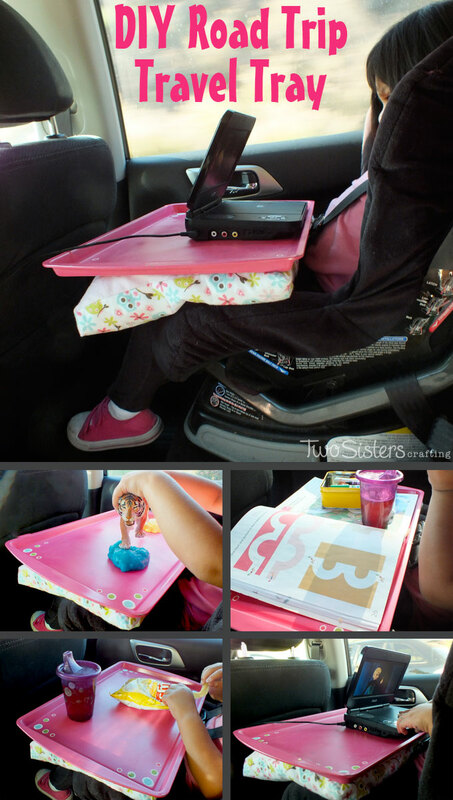 This AWESOME Travel Tray from Two Crafting Sisters is so cool and versatile! 3. 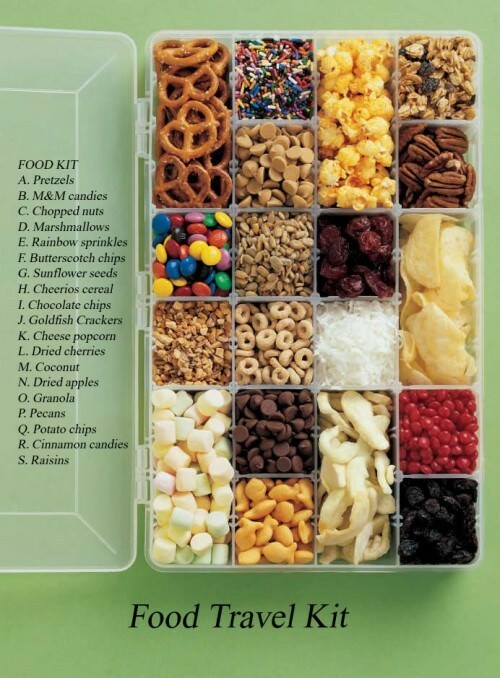 This Food Travel Kit from Tip Junkie will definitely keep kiddos happy! 4. This Are we there yet travel tracker from Grey House Harbor is pure genius! 5. This food divider hack from Lookie What I did is pure satisfaction for my inner organizing freak! 7. This oh so important DIY Car Sick Bag from Culdesac Cool is definitely going along with us! 8. This optional idea for Dollar Store divider from Keeping Life Creative is perfect for kids that like a variety. 9. This DIY First Aid Kit from Mama Cheaps is always a great idea to have around! Ok so I'm definitely bookmarking this when I have kids! These are great tips and advice for roadtripping with the little ones - everything looks organized and orderly! Oh thank you! I definitely love ALL of these ideas! This is perfect for people who has kids or even people who do not have kids. It is so nice to be organized for a road trip. Definitely, I love to organize everything! Oh yay! I hope y'all will have a great trip next summer! Thank you kindly! Perfect. A family favorite in our home is the ABC game, you have to look for the letters in alphabetical order, 1st one to Z wins. To make it more challenging for our older children we only use upper case. Oh that sounds like so much fun!I will have to add that to my list of car games! This is great to keep children in the car occupied for a long time! I also love the organizational tips. Aren't these ideas so simple and fun! I love road trips and if things aren't organized... it is a mess! Oh my! This "Are we there yet travel tracker" is probably my favorite! I mean I love this other ideas too, but this is just too cute! I know right! Such a cool and easy idea! I think the Dollar Store 1st Aid kit is a great idea. You never know if an accident happens while on the road. Exactly! My son gets random nose bleeds, has allergies and all my kids stay with a runny nose lol.. I definitely need a kit! So fun! Snacks are a must and I LOVE the road trip scavenger hunt! Really great tips for traveling. The snack kit, traveling trey is a really great idea and the tracker seems like it would be fun for the kids to keep track of the driving. this sounds great for the little ones! Thank goodness my kids are past the age of trying to find things for them to do on road trips. But I do like the 'I Spy' activity...something I would probably do as a passenger. Oh yes who doesn't love a good I spy?! I honestly can't wait to take a road trip with just the hubby! 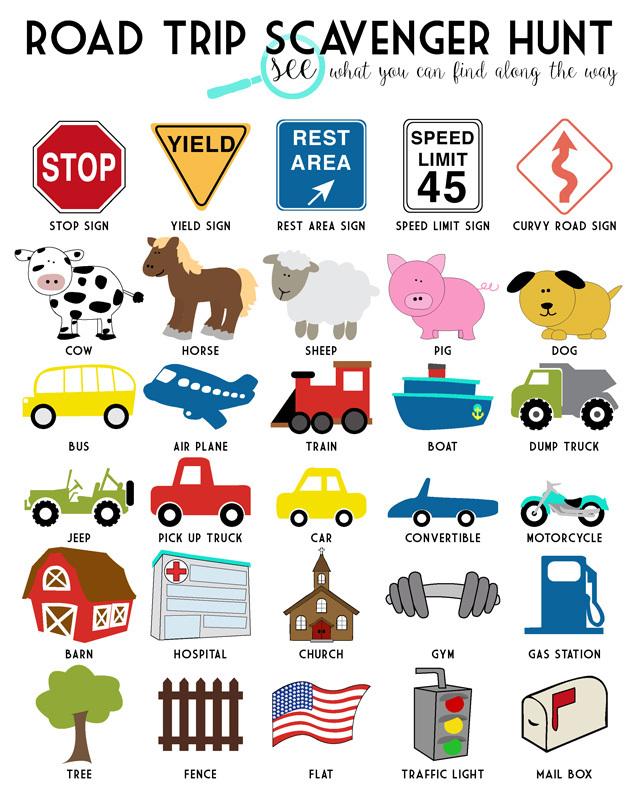 I don't have children yet, but these are great tips for road trips.